The one time you are dieting and doing well–all of a sudden all these events and weddings and parties as well as dates and other invitations come up! This is when people generally start breaking into a sweat. How is it that they stay on the diet they originated with and not fall off the wagon so hard they bounce? Well there are simple ways to accomplish this and if you keep your head clear–you will get through it virtually unscathed. When you aren’t eating at home, it is very important to know how to avoid excessive calories. Let people know around you that you are dieting and doing well. Let them know that if they want to help you -they can do so–by letting you know in advance when an event or an invitation will be given and if it isn’t too much trouble to let you know where you will be dining or what kind of food will be served. For good friends who care and those who don’t wish to sabotage your good efforts–this should not pose an issue. If it does–think of yourself first and politely decline–you need a firm support system. Chances are that they will support you in your decision to avoid excessive calories. Get ahold of the online menu and if you don’t get calorie information there then call them ahead to ask what the meals are between certain calories–some dining establishments will have it in the menu such as Denny’s. Take a look at the menu online–ask if there are any dishes that are offered on the online menu as take out only and be sure the menu is up-to-date. You don’t want to choose something just to have to think about it all over again when you arrive. Jot down what appeals to you and viola–you have a plan to avoid excessive calories! The first thing you are normally asked is can we start you with some drinks? Keep in mind that alcohol has a load of calories and so do sodas and other drinks. Make sure you are not drinking empty calories and undermining the whole deciding what to eat ahead of time. This is a tried and true trick that works. As soon as the waitress takes your drink order–ask her to return with a to-go box so you can put half your food in first thing! Too fancy a place for that? Then watch what you eat before hand–maybe skip the bread. 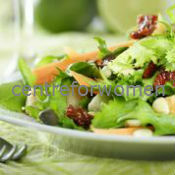 Previous post: Do Women Need Diet Pills More Than Men?